The EU and European Investment Bank (EIB) have teamed up to launch a new investment programme for Europe – with energy, as well as transport, research, innovation and education, its key objects. A modest €21bn in public money is set to be multiplied up to a whopping €315bn in total investments over the next three years, pushing Europe toward that long-hoped for economic recovery. There is no dedicated share of the money for individual sectors or countries, yet first reactions from the energy community are enthusiastic. New European Commission President Jean-Claude Juncker was careful: do not underestimate but do not overestimate either this package, he told Members of the European Parliament in Strasbourg on 26 November as he unveiled details for the first time of a €300bn investment package for Europe. In doing so, he made good on a first campaign promise – one indeed that helped him secure the support of the Socialists & Democrats (S&D) in the European Parliament and got him elected in the first place, noted S&D Chair Gianni Pittella. So there was a lot riding on this “Christmas present” as it’s inevitably been called, and Juncker did not disappoint. Jyrki Katainen, Vice-President for Jobs, Growth, Investment and Competitiveness, was given the challenge of explaining the details to journalists. He too started on a cautious note: “It’s not a magic wand.” But “it can make change for the positive”. There are three pillars to this plan: 1) mobilise new finance 2) create a pipeline of bankable projects 3) remove regulatory barriers to investment (notably by improving the single market). At its heart is a new fund: the European Fund for Strategic Investment (EFSI). This will be fed by €21bn of public money. €5bn will come from the European Investment Bank (EIB). Another €16bn will come via the EU budget (€8bn will actually be taken out of the EU budget, put into an existing guarantee fund and so scaled up to a €16bn-guarantee). This should enable the EIB to give out loans worth €63bn, which should in turn stimulate private investment of some €252bn, to yield a grand total of €315bn in new investments. Et voilà. There are a few points to note. First the €21bn is not exactly “new money”. That €8bn from the EU budget is from the current EU budget. It will be taken in part (€3.3bn) from the recently created Connecting Europe Facility (CEF), a fund set up specially to fund energy, transport and broadband infrastructure investments. Another €2.7bn will come from the “Horizon 2020” programme for R&D and the final €2bn from the budget’s existing margins. Money is being moved around. But the idea is to put it to better use. 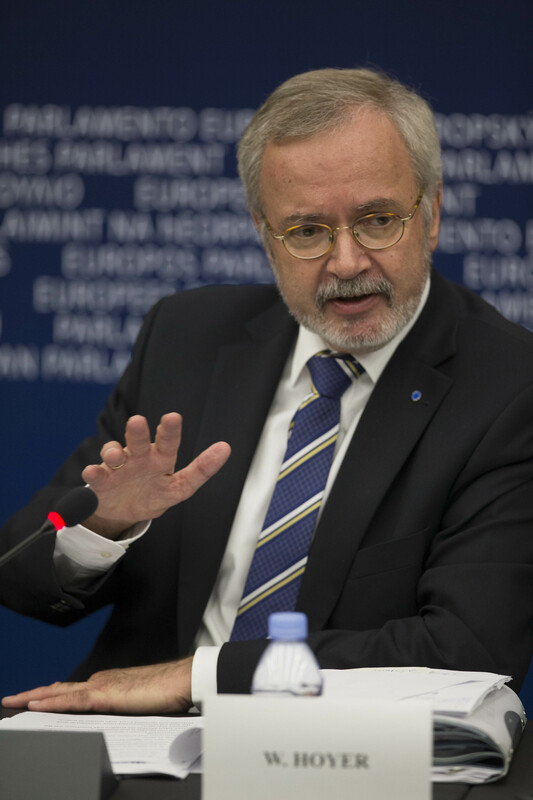 “What we are seeing is a fundamental shift from subsidies to guarantees and loans,” said EIB President Werner Hoyer in Strasbourg. 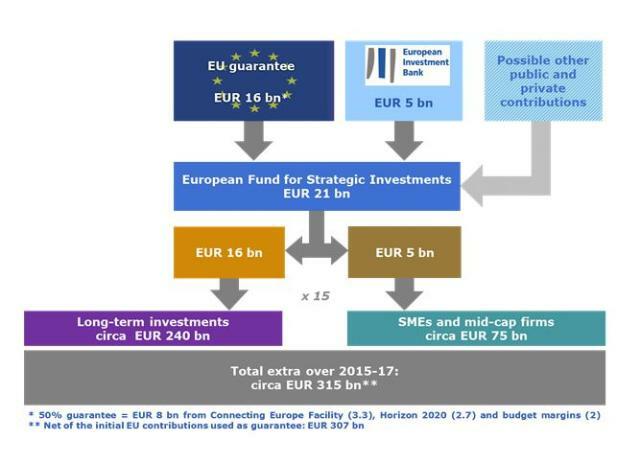 The Commission assumes a factor 15 multiplier from the original €21bn up to €315bn. “Fifteen is a conservative estimate in my view,” said Hoyer. To back this up, he cited the EIB’s own experience: two years ago it received an extra cash injection of €10bn, which is supposed to deliver €180bn in investments (i.e. a factor 18 multiplier) by the end of next year. “By the end of next year, we will have overshot €180bn,” Hoyer said. In other words, yes it’s perfectly possible. Not everyone is confident. “Big investment talk based on a leverage ratio of 15 to 1 is optimistic to say the least, if not irresponsible,” warned campaign groups Counter Balance and CEE Bankwatch Network. “Intensifying the use of such [innovative financial] instruments cannot happen to the detriment of the less favoured regions where, in the most cases, grants cannot be replaced by loans, equity and guarantees,” warned President of the Committee of the Regions, Michel Lebrun. Lebrun and other groups such as the French Socialists also lamented the lack of new money in the package. The Greens criticised it for not being forward looking enough: “This programme still promotes obsolete structures, and lacks consistent support for eco-innovation in Europe,” added Reinhard Bütikofer, Co-Chair of the European Green Party. Liberal leader Guy Verhofstadt suggested that labour market reform should be a condition for accessing the funds. What some of these critics fear is that what “de-risking” actually amounts to, is passing risk from the private investor on to the European public. “[This] could very easily end up having a devastating effect on Member State budgets and the economy if the projects fail,” said Xavier Sol, Counter Balance Director. He cites the European Commission’s pilot Project Bonds initiative, which was also intended to be an innovative financing instrument to drive investment in strategic infrastructure. The Castor gas storage facility in Spain, the first project to be financed via Project Bonds, “has already proved to be disastrous, and instead of spurring growth, the controversial project has placed an additional debt burden on the Spanish economy.” The Commission says: “The project bond initiative is on track to achieve the objectives of the pilot phase,” in a Q&A accompanying the €300bn package. The new investment package is an economic gamble – and a truly European one at that – also because any member state contributions to it will be excluded from the assessment of those member states’ finances under the Stability and Growth Pact. In other words, here is a chance for member states to spend – on useful things such as infrastructure and innovation – outside the austerity net. It is a hand extended to countries such as France. Significantly, German Chancellor Angela Merkel applauded the package the day it was announced. “We have a risk aversion, not a liquidity problem in Europe,” said Hoyer in Strasbourg. There are two ways in which the new Fund differs from the EIB’s current approach: it explicitly targets higher risk investments and it includes a “first loss scheme”, which means that the Fund itself will carry losses before private investors do. This is all geared towards making these investments in infrastructure and the like more appealing to private investors, but it does shift risk to the taxpayer. The EU plans to create a pipeline of projects with an “EU stamp” on them that should make it easier to get investors on board. 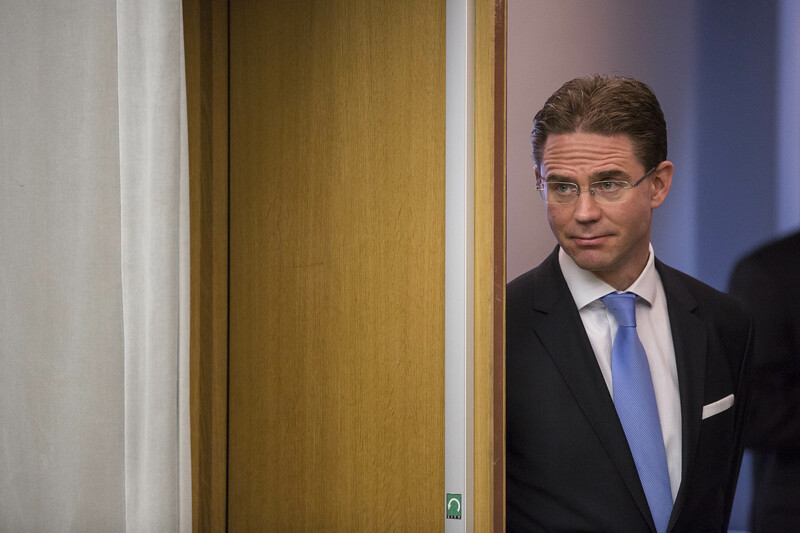 “This technical assistance, this pipeline of projects – I was surprised how important this is to the City,” Katainen said in Strasbourg. The Commission wants to create a new investment advisory “hub” that will offer a one-stop-shop for project promoters, investors and public managing authorities. The problem in Europe is not always a lack of money but a lack of bankable projects. The third element of the new package, in addition to mobilising finance and creating bankable projects, is removing regulatory barriers to investment and here, for energy at least, the emphasis is on creating an Energy Union, or in more common parlance, completing the internal market. The new fund will award projects based on “merit”. 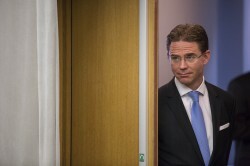 “There will be no sector-specific or country-specific quotas,” Katainen said on 26 November. This also means it’s difficult to work out at this stage how much an individual sector such as energy is likely to get. What is clear is that energy is a priority. The focus of the Fund “should be to invest in infrastructure, notably broadband and energy networks as well as transport infrastructure in industrial centres; education, research and innovation; and renewable energy and in SMEs and middle capitalisation companies”, according to the Commission. Of the €21bn in starting capital, €16bn is destined for long-term investments (e.g. in energy infrastructure) and €5bn for SMEs and mid-cap companies. *I have a vision of a French commuter being able to charge his electric car along the motorway in the same way we fill up on petrol today. *Households and companies want to benefit from technological progress and are crying out for action to become more energy-efficient. *Our energy sector needs to interconnect networks and markets, integrate renewable sources of energy and diversify our sources of supply. Projects will be selected based on three main criteria: EU value-add (they must support EU objectives), economic viability and value (preference will be given to projects with high socio-economic returns) and speed (projects must be able to start within the next three years i.e. a reasonable expectation for capital spend from 2015-17). The way the third criterion is worded clarifies that energy infrastructure projects should be able to benefit: initially, some thought they would be excluded because the investment package is due to deliver within three years. But projects just need start within three years. More generally, projects need to offer reasonable size, scalability and the potential for leveraging other sources of funding. Typical projects could include, says the Commission, a programme for the construction and rehabilitation of public buildings aimed at improving their energy efficiency, greening projects in the area of maritime transport, alternative fuel infrastructure along major roads, and third generation biorefineries. A focus on transport then, which remains the EU’s only sector with still growing greenhouse gas emissions. Who will actually choose which projects qualify? A European Commission-EIB task force has, together with member states, already started screening potentially viable projects. Individual investment decisions will then be made by a committee of experts. 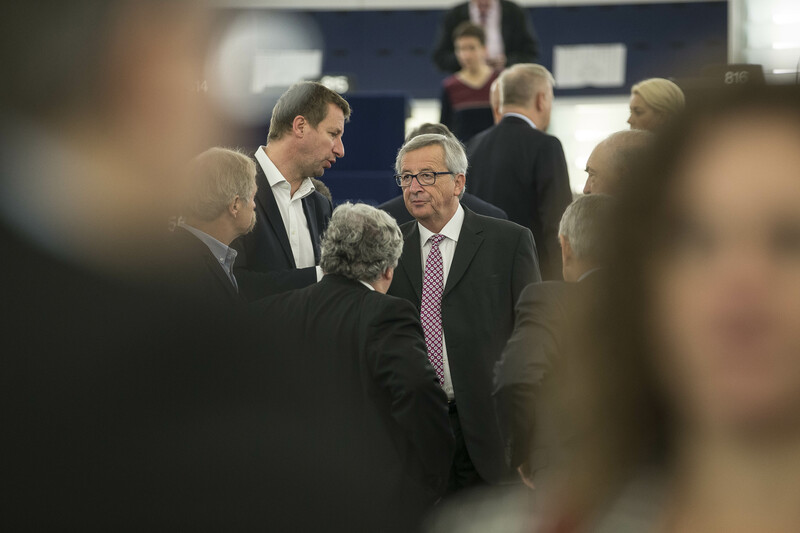 Juncker hopes that European leaders will sign off his project at their next summit in Brussels on 18-19 December and that the European Parliament will endorse it too – certainly Parliament President Martin Schultz appeared to welcome it with open arms on 26 November. The idea is to set up the Fund within the structure of the EIB Group by spring 2015 and have it operational by summer. This December already, the joint Commission-EIB task force is expected to provide a first list of possible investment projects. At the same time, the Commission is urging member states to get more out of regional development funds (so-called structural funds) by doubling the use of innovative financial instruments (rather than grants) there, going above minimum co-financing levels, and making use of leftover funds from the 2007-13 period. All this activity must be put into perspective: over the last seven years, the EU has consistently spent 15-20% less on investment, on average, than pre-2007. Combine that with the fact that it spends 1.5% of GDP less on innovation, education and research than its biggest competitors such as the US and Japan. “Who could believe this would not lead to a loss in competitiveness?” asked Hoyer on 26 November. This new programme is supposed to contribute €330-410bn to EU GDP over the next three years and create at least one million new jobs. “What about your spiritual investment programme?” asked one journalist, inspired by the visit of the Pope to Strasbourg a day earlier, on 25 November. Juncker agreed that getting Europe back on track is not just a question of money. But it can help. His €300bn investment gamble is a gamble on the future of Europe.